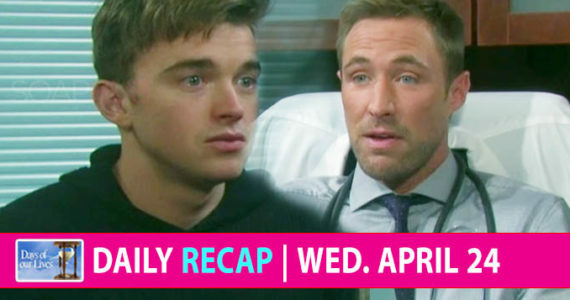 Days of our Lives spoilers (DAYS) are here! Catch a glimpse of the action in Salem and find out what Victor (John Aniston), Marlena (Deidre Hall), Gabi (Camila Banus), Brady (Eric Martsolf) and other power players are doing in the upcoming two weeks! Tensions run high as Jennifer moderates the first mayoral debate between Abe and Melinda Trask. The truth is finally revealed regarding who set the cabin on fire last year and why. Hope apologizes to Ben for misjudging him. Haley blasts JJ for his betrayal. Jennifer rips into Eve and Jack for using Haley as a political pawn. Gabi turns to Brady for help. As Stefan protects Chloe from El Fideo’s men, they grow closer. Marlena is thrown when John comes to Leo’s defense. Diana brokers an alliance with Victor. Sarah has a steamy dream about Eric. Eric talks to Marlena about his feelings for Sarah. Sarah has a surprising reaction to Rex’s proposal. Rex puts Eric in an awkward position. Victor drops a bomb on Marlena. Chloe interrupts a heated moment between Gabi and Stefan. Jack and Eve take advantage of Melinda’s scandal. Eli and Lani question JJ about Haley. Terrified he may hurt her, Ben breaks up with Ciara.